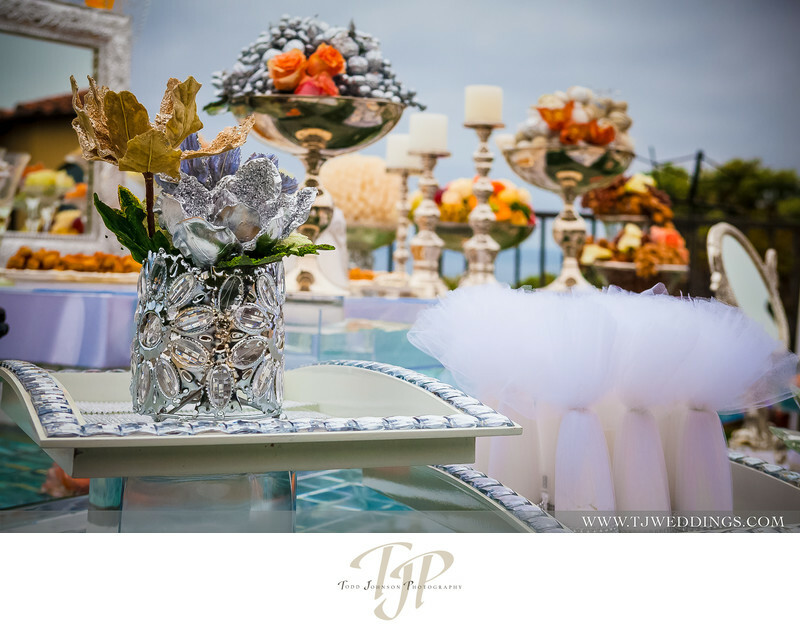 Wedding photography at Terranea Resort and Trump National Golf Club Los Angeles Coordination by Venus Safaie, Event Planner & Coordinator Khonche Organization. During the service and the readings, married female relatives of the couple hold over the couple’s head a white silky Ghand cloth. Two pieces of crystallized sugar called Kalleh Ghand shaped like cones are rubbed together, showering the couple with white powder. This symbolic act is meant to sweeten the couple’s life. Keywords: 04) Ceremony (9), 08) Details (153), Persian wedding (660), Sofreh-ye Aghd (252), Sofre-ye-Aghd. Sofreh (387), wedding photography (720).